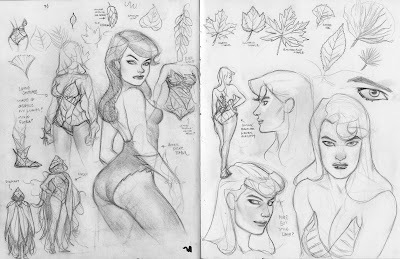 Joe Quinones' interweb-log: That girl is POISON. Above is a look at some sketches I did for a redesign of Poison Ivy for an upcoming Batman short story I worked on. 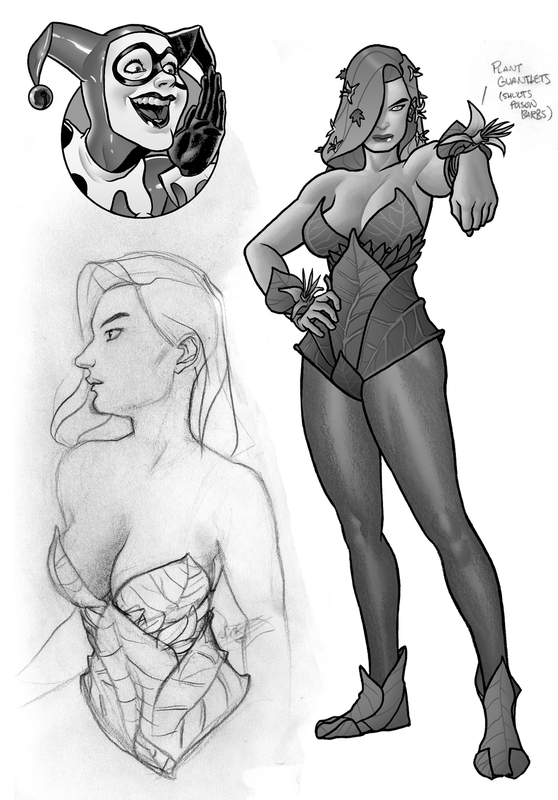 All of the project was great fun, but I especially had a great time redesigning Pam's costume. Enjoy! man those sketchbook pages are awesome. It's been a long time since I asked, Joe, but did you have any of your sketchbooks left after that show? I would gladly pay you tomorrow for a sketchbook whenever you had time to ship, etc. This is GORGEOUS. Love the redesign!